Upgrading to SmartStormwater Drains could be the future of urban rainwater tanks. Leading researcher Professor Holger R. Maier from School of Civil, Environmental and Mining Engineering along with Water Technology and Optimatics in Adelaide have been working together to find solutions to prevent urban floods. Local governments are looking for innovative solutions to dealing with the increased runoff caused by urban infill. Previous studies have shown that rainwater tanks – even smart tanks – have virtually no impact on the peak runoff from large floods, still requiring costly stormwater infrastructure upgrades. 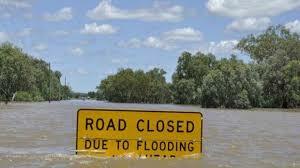 The team have developed an approach that is able to reduce peak flows resulting from large floods by around 40%. This has been done by optimizing the outflows of 5-10kL household rainwater tanks. This breakthrough has been achieved by operating tanks as SYSTEMS and controlling their outflows THROUGHOUT the storm event. A case study is expected to begin with the City of Unley and City of Mitcham in the very near future. Di Matteo M., Liang R., Maier H.R., Thyer M.A.,Simpson A.R., Dandy G.C. and Ernst B. 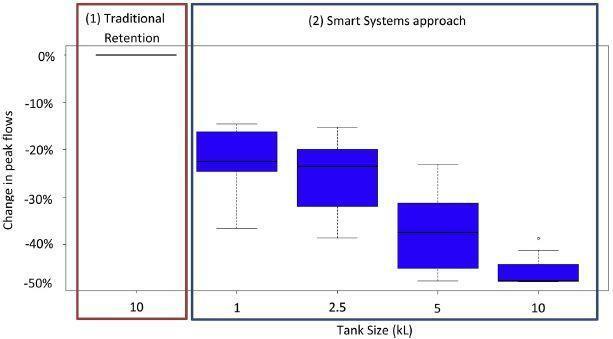 (2019) Controlling rainwater storages as a system: An opportunity to reduce urban flood peaks for rare, long duration storms, Environmental Modelling and Software, 111, 34-41. This entry was posted in Environmental and Mining Engineering, Science communication and tagged City of mitcham, city of unley, floods, local government, smart tanks, SmartStormwater Drains, storm water, urban flooding, urban infill. Bookmark the permalink.